Dr. Bartelt is the Superintendent of Schools in Bloomingdale School District 13, serving over 1,300 K-8 students and their families in northeast DuPage County in Illinois. Bloomingdale School District 13 has maintained focus on a set of core values that have resulted in success throughout the organization: ensuring that every student will learn, treating everyone with honor and respect, and working together to achieve. Dr. Bartelt has been an educator since chalkboards were in fashion (30 years) and has served as a superintendent for 18 of those years. His learning journey has taken him from Valparaiso University to Harvard University and finishing (only formally) at Loyola University in Chicago. 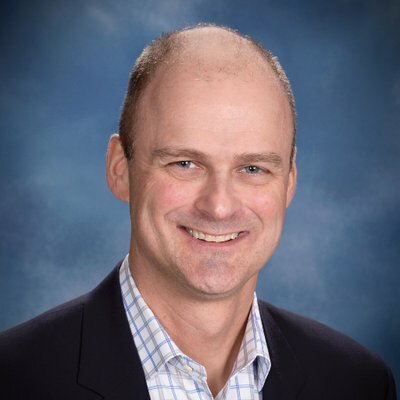 Dr. Bartelt currently serves as the director of professional development for the DuPage Division of the Illinois Association of School Administrators, and most importantly, as husband to Julie and father of David, Carlye, Madelyn, Bridget, Maclaine, and Harper.